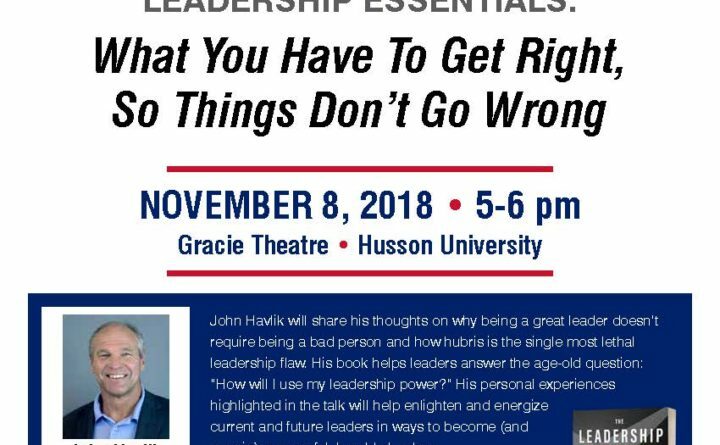 BANGOR — In honor of Veterans Day, the College of Business at Husson University will present Captain John Havlik, former Navy Seal and world class athlete, speaking on “Leadership Essentials: What you have to do right, so you don’t go wrong” 5-6 p.m. Thursday, Nov. 8, at Gracie Theatre. Capt. Havlik will discuss parts of his new book “The Leadership Killer,” followed by a book signing.